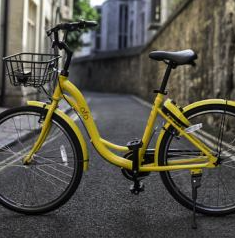 Chinese dockless bike-share company Ofo has unveiled its latest bike, some of which have already been rolled out in Cambridge. The firm launched its second UK venture last week, introducing 100 bikes in Oxford. By the end of 2017, Ofo plans to deploy 20 million bikes in 200 cities in 20 countries. The company’s new bikes have “lightweight” frames complete with front basket as well as a dynamo front light and solar-powered back light. Ofo raised over £541 million in Series E financing round in July this year. The firm launched its service in Seattle last week while Japan is also expected to have the bikes soon.